With instant discount at Kaspersky.com! We just found this special offer from the official Kaspersky Store – From now up until the end of the month you’ll save up to 63% instantly on your pick of Kaspersky’s virus protection software, including Total Security. So for two years of protection, the price drops down from $179.90 to just $64.95 (63% off). If you just need two years of protection, then the saving are a little bit less but still really good at 50% off the list price. Remember that all Kaspersky.com orders are fulfilled by email (they send you the license key and link to download your order) so there is no need to order the back-up CD that’s also offered. This deal ends on April 15, 2019. We’re not surprised that Amazon is on of Kaspersky’s largest resellers as it’s often hard to find a better deal on any antivirus software at any other store. 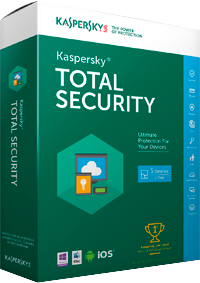 In terms of Kaspersky, you can now pick up one to three-license versions of Total Security for up to 50% off the sticker price ( in some cases that’s about a dollar per month per computer to keep you insured against the latest viruses and online threats). Just keep in mind that the versions sold at Amazon have regional restrictions and will not let you install it on a machine that is located outside of the USA, Canada or Caribbean (applies to the time of installation only). Prices may vary at Amazon as is subject to change without notice. 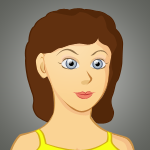 Sale prices vary depending on version chosen. Get you Kaspersky Student Discount. We’re listing this offer for existing customers that would like to check and see if renewing or upgrading their existing version will be cheaper option than buying a regular license. Most customers have reported that it’s often cheaper to buy a new license (for example, from a seller like Amazon listed above) as the discounts are on average around 30% off the list price. The price you pay will vary depending on the version you are currently running as the renewal discount is based on the license key that you provide to them (you’ll need to enter it into the verification box at the Kaspersky.com renewal center to see the sales price). We love tracking software deals but often you may simply want to try out new software before you buy no matter what the deal might be. Fortunately, Kaspersky, just like most of the software companies, offer free 30-day trials on all of their products. So if you haven’t tested it out before, we recommend downloading and testing Total Security before you buy to see if it’s the best antivirus and computer security solution for your needs. After the trial ends, you’ll have to purchase a license to activate it for either 12 or 24 months. Kaspersky 2017 Release Date Alerts! Signup to our release date notifier and we will let you know when Kaspersky Total Security 2017 and all of Kaspersky's 2017 product line is released and available for upgrade. When will the 2017 versions become available? If you’re waiting for Kaspersky to release the 2017 versions of their antivirus and computer security software, then be on the lookout for it to be announced near the end of July, 2016. If you’re a current Kaspersky subscriber at the time of the product release, then you may also qualify for a free upgrade to the newest version once it’s available.